Electric vehicle advocates know that government incentives play a substantial role in EV sales figures. From Hong Kong to to Norway to America, the story is always the same: big incentives mean big sales. In Canada, for example, 95 percent of all BMW i vehicle sales – so, sales of the i3 and the i8 – are in British Columbia, Ontario and Quebec. We'll save you the trouble of asking. Yes, those are the only three provinces with their own EV incentives. As you can see in the graphic above, the credits can be worth up to $14,000 in Ontario, $8,000 in Quebec, and $5,000 in BC. The national government has an improved set of EV incentives and the province of Quebec is working on its own, improved EV road map, so things are looking up for the future. Earlier this year, Quebec passed a new law that will require automakers to sell a specific number of electric vehicles. The target says that in the 2018 model year, the overall car market needs to be at least 3.5 percent electric – here defined as pure battery electric, plug-in hybrid or hydrogen fuel-cell – with the percentage rising to 15.5 percent for the 2025 model year vehicles. The current EV segment rate for all automakers is just under one percent, but BMW just released numbers showing that, globally, its electrified vehicles make up 4.5 percent of its sales last month, and have topped 50,000 so far in 2017. In the new rules, there's a way for OEMs to buy and sell credits to meet the limits if their own line-up of EVs isn't enticing to buyers. For car shoppers, the province currently offers a tax rebate of up to $8,000 for EV purchases and leases and up to $600 for home charger installation. 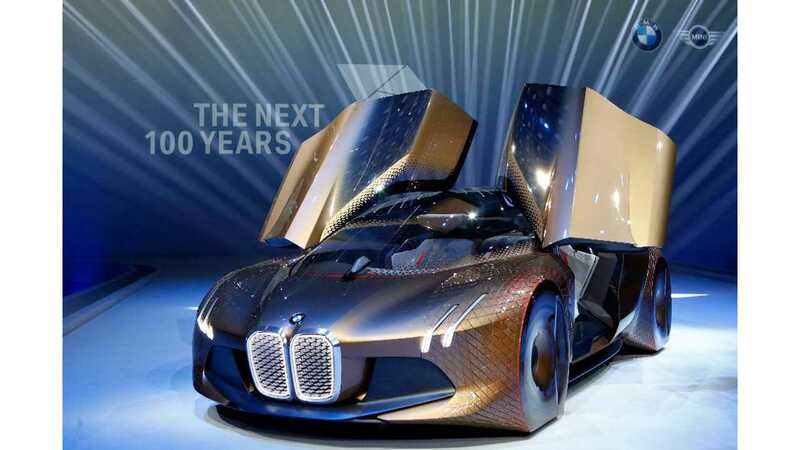 So, how does BMW plan to meet those aggressive targets? During a recent presentation by BMW on electric vehicles in Canada, Kevin Marcotte, the national manager for the M and i brands at BMW Group Canada, explained that BMW is working on making better EVs thanks to its own in-house development of improved electric motors, batteries, and new power and charging electronics. BMW also wants to make its high-voltage batteries near its plants so that shipping them costs less and is more environmentally responsible. As for the electric vehicles themselves, Marcotte said that BMW will design any future pure electric vehicles to be small, leaving larger vehicles to be plug-in hybrids or fuel cell vehicles instead. He said that Canadians have a distinct propensity for larger vehicles, so offering up bigger, electrified models makes sense there. It turns out that Canadians are warm to the idea of plug-in cars, even ones that aren't big SUVs. The country ranks fourth in sales of the i8 sports car, for example, even though Canada is 10th in BMW's overall sales figures. 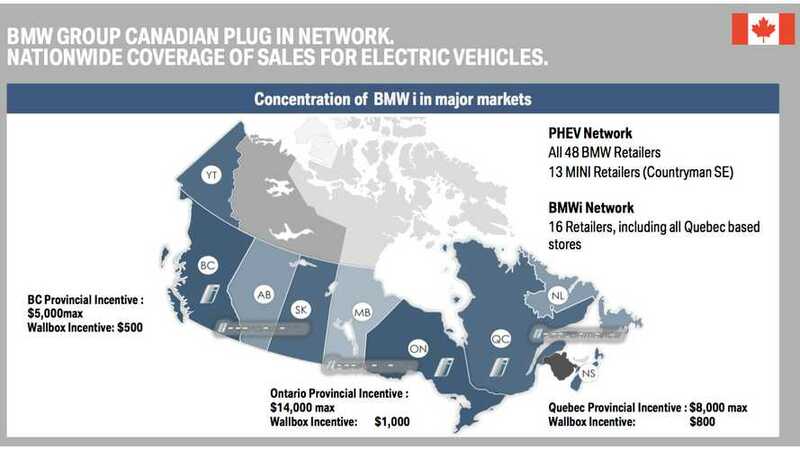 Nevertheless, Marcotte said that BMW's plan for higher customer acceptance in Canada is to offer an EV with a range of more than 200 miles for around $45,000.